» Lightning Round: What the Heck Is Up With the Sacramento Kings? Lightning Round: What the Heck Is Up With the Sacramento Kings? In the last 24 hours, the Sacramento Kings have been thrown into turmoil. Between reports that coach George Karl is advocating for the trading of franchise cornerstone DeMarcus Cousins, VP of basketball operations Vlade Divac saying that Cousins is untouchable, and a rather cryptic (but not that cryptic) Boogie tweet on Monday night, it’s safe to say the Kings are being, well, Kingsy. Now there are rumors that Rudy Gay is on the block to make salary-cap room for Rajon Rondo, and that draft prospects like Justise Winslow and Trey Lyles are reportedly refusing to work out for the team, which is picking sixth in the NBA draft on Thursday. We gathered some of our basketball minds to sort through this amazing turn of events. Chris Ryan: Man, and I thought the highlight of the pre-draft rumormonger circuit was going to be analyzing what T-shirts Dwyane Wade’s father was wearing! The most interesting story line here is coach George Karl and the power struggle between him and Kings basketball kingmaker Vlade Divac. Last night, on Twitter, Chris Herring from The Wall Street Journal presented this series of seemingly unrelated tweets. First of all, I love that a throwaway Jay Z line from “Blueprint 2” has become a code word for calling George Karl a punk. Now every time this story shows up in my feed, I’m going to imitate Jay imitating Austin Powers. All of these players have documented issues with Karl, usually stemming from his or their departure from a team. Melo didn’t like the way Karl talked about his defense; Iggy didn’t like being the mole in Karl’s Tinker Tailor Nuggets Spy story. And now we have Boogie, reacting to rumors that Karl wants him shipped out of Sacramento. Earlier in the year, Karl had pointedly declared that no player on the Kings roster was “untradable.” This was contradicted by Divac, the former sweet-passing, smoking big man who now runs the chaotic Kings front office. Now we’re here. With rumors of Cousins-to-the-Lakers stunning us all to attention. The average NBA coaching tenure at a gig is only a couple of seasons, and nobody knows this more than George Karl. He usually gets good results early, and sees a player mutiny of some sorts on his way out the door. Sometimes, like in Denver, those things happen at more or less the same time. There is obviously a power struggle happening in California’s capital, and Karl has decided that he wants to play his way, with his guys. I think they should deal Boogie, if for nothing else than my own amusement. The Lakers deal would immediately vault L.A. back into relevance, even if it costs the player they selected second (L.A. has to wait until after it introduces the second pick as a Laker to trade him, because you can’t deal consecutive first-round picks), Julius Randle, and Jordan Clarkson. I’d rather see Boogie in Boston, though. I just think his temperament matches the team, he’d be reunited with Isaiah Thomas (lol), would give Brad Stevens his first big personality test, and give Boston the blue-chip player it has been missing for years. I’d deal everyone but Marcus Smart to make this happen. Maybe something like the 16th pick, the 28th pick, James Young, and Brandon Bass’s expiring deal? Here’s the one thing you have to consider if you’re Divac, though: Trading Boogie basically means rebuilding your team. Again. There’s no deal here that brings back immediate equal value. Unless you can pry no. 2 from the Lakers, you’re not going to get a potential franchise player in return. And even if you do get that second pick, there are no guarantees, right? This is like the Harden trade again, except the team dealing Harden doesn’t have Durant and Westbrook to clean up the mess. This one has Rudy Gay and Ben McLemore. Riley McAtee: There might be a way to deal Boogie that works for the Kings, but there is no trade scenario that will work in my heart. Boogie is the only homegrown superstar Sacramento has ever had and the rare NBA talent who actually seems to like this cow town. Those great Kings teams of the early 2000s were built on trades — not draft choices and certainly not free agency — because it’s impossible to keep players in Sacramento. Even Chris Webber thought about leaving a 55-win team until Joe Maloof offered to mow his lawn for him. Maybe George Karl can offer to mow Boogie’s lawn, but he’ll have to get rid of the snakes first. I couldn’t sleep last night once I saw Woj’s bomb. Boogie has been my favorite player, not just on the Kings or in the NBA, but in all sports, for years. His persecution complex (whether deserved or not) and stubborn attitude appeal to me. He’s imperfect, but who wants to root for perfection, anyway? I want to cheer for someone who holds grudges, delivers zingers to journalists, and sometimes takes entire possessions off. That’s just my kind of player. In the end, I’ll cheer for Boogie no matter what jersey he ends up wearing. Unless it’s a Lakers jersey. Screw that. Jason Concepcion: Any time you have to decide between a 63-year-old journeyman coach with a history of alienating top talent going all the way back to the days of Kendall Gill​ and young Ray Allen, and a 6-foot-11 behemoth with a generational mix of talent and skill, I think you have to go with the coach. Especially if the coach hasn’t even been there for a whole season. I get that Boogie is tough to deal with. But reaching star players is kind of in the head coach job description along with the X’s-and-O’s part. That’s what the money is for, George. THAT SAID. The New York Knicks offer the no. 4 pick, Tim Hardaway Jr., Jose Calderon, the entire stock of one of those shady off-price electronics stores on Ninth Avenue around Port Authority, a year’s supply of Katz’s Deli pastrami, and two troupes of subway dancers for Boogie Cousins. 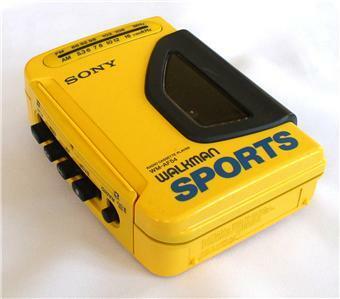 Chris Ryan: GEORGE KARL IS FINALLY GONNA GET TO REPLACE HIS YELLOW WALKMAN. THANK YOU, STEVE MILLS! McAtee: Karl was brought in knowing that Boogie was the centerpiece of the team, and in just four months he’s turned his relationship with Cousins into something resembling the last season of The Good Wife. I’d love to fire Karl and keep Boogie, but I’m scared about what would happen after that. Who would even consider taking this job at this point, in late June, just to become the fourth coach in the last two years to end up on the chopping block? If this relationship really is as bad as it’s been reported to be, the Kings might have to trade Boogie, and it breaks my heart to say that. So just blow it up already. A hard reset might be just what the Kings need after the last decade of chaos. And it’s not like there are many better options. I remember my high school girlfriend once responded to some statement I made about the future with “It’s not like we’re going to get married.” That blew my mind at the time, but the more I thought about it, I was like, “of course.” Do the Kings want to marry George Karl? Best-case scenario is the dude wears out his welcome and everyone’s last nerve within three years, by which time he’ll be pushing 70. And that’s three REBUILDING years. Does it look terrible if the Kings fire Karl? Of course. Are the Kings an infinite clown car of sadness? Sure. But firing Karl would theoretically go part of the way toward rebuilding trust between the team and its star player. After that, involve him in the process of finding the next coach, just like many other teams do with their stars. Ryan: VICE-PRESIDENT OF BASKETBALL OPERATIONS / HEAD COACH VLADE DIVAC. Guys. Not to get us off track, but have you ever spent any time in the “Investments” section of Vlade’s Wikipedia entry? The most notable affair was a highly publicized business venture—takeover bid of profitable beverage producer Knjaz Miloš. Divac’s company “Apurna”, in a joint venture with French dairy giant Danone, ostensibly proposed the best bid, but the takeover was aborted by the Serbia’s Securities Commission, because Danone/Apurna allegedly offered extra money to small shareholders. In the repeated bid, Divac and Danone eventually withdrew and the sale went to FPP Balkan Ltd., a privatization fund from the Cayman Islands. The entire messy affair caused great friction within the Serbian government, wide speculation about corruption, resignation of the Securities Commission chief, and even a police investigation. Any time you can get involved with a French dairy giant and fall afoul of the Serbian securities commission, the place you need to go for professional rehabilitation is Sactown. God, get Boogie out of this clown show. Concepcion: Serbia Securities Commission stays not letting legitimate businessman eat. That whole thing reads like the reason Niko from GTA IV fled to America. Ryan: IS THAT FPP BALKAN LTD.’S MUSIC I HEAR?? ?